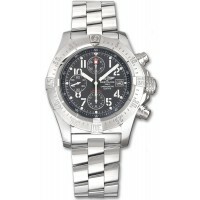 Breitling watches have been a pinnacle of the industry since their founding in 1884. 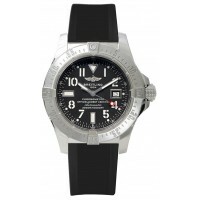 Some of their most popular collections being the Navitimer, Superocean, and Super Avenger, it is no wonder that Breitling watches are celebrated for their quality and precision. 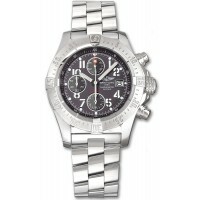 With a wide selection of men's and women's watch styles, there is a Breitling available to fit anyone's personality. 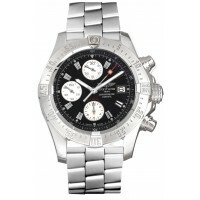 Madinajewelry.com is proud to offer the largest selection of brand new Breitling watches at discounted sale prices. 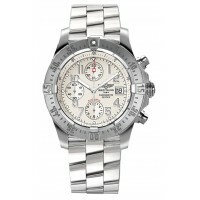 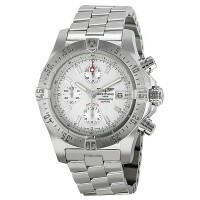 For the best deals and discounts, Madinajewelry.com is the only stop you need for the best savings on Breitling watches. 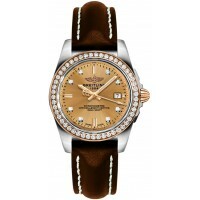 Breitling Galactic 32 Sleek Edition C7133053-H550-410X - Swiss Made, Golden Sun Gold Dial Set with D..
Breitling Aeromarine Avenger A1338012-B975-132A - Swiss Made, Black Dial, Chronograph Feature, Self-..
Breitling Aeromarine Avenger A1338012-B995-132A - Black Dial, Stick Index Hour Markers, Chronograph ..
Breitling Aeromarine Avenger A1338012-C794-132A - Swiss Made, Blue Dial, Chronograph Feature, Self-w..
Breitling Aeromarine Avenger A1338012-F534-132A - Grey Dial,Chronograph Feature, Self-winding ..
Breitling Aeromarine Avenger A1338012-F547-132A - Swiss Made, Grey Dial, Chronograph Feature, Self-w..
Breitling Aeromarine Avenger A1338012-G692-132A - Swiss Made, Silver Dial, Chronograph Feature, Self..
Breitling Aeromarine Avenger A1338012-G694-132A - Swiss Made, Silver Dial, Stick Index Hour Ma..
Breitling Aeromarine Avenger Seawolf A1733010-B906-134S - Black Dial, Self-winding Automatic C..